Have you ever wondered just what goes into figuring out where to locate a restaurant? Certainly there are hungry people everywhere, so why is one site better than another? That question is one that Dave O'Brien, real estate manager at Culver's, a successful Wisconsin-based quick-serve restaurant chain, asks himself every day. GIS helps Culver's do better comparable store analysis by allowing staff members to focus on the most appealing trade areas. A growing franchising business, Culver's specializes in frozen custard; a premium ice cream; and the ButterBurger, a juicy hamburger so named because of its lightly toasted and buttered bun. The restaurant cooks everything to order, including making the namesake frozen custard, fresh on the premises throughout the day. Though the success of Culver's stems a great deal from the delicious ButterBurgers and frozen custard, the company also works hard to help franchisees choose great locations for their restaurants. To do this, Culver's uses GIS. 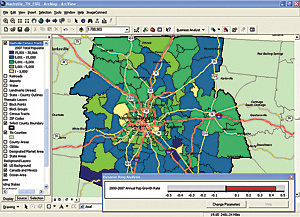 Having discovered the potential of GIS, O'Brien uses a combination of Esri's desktop and online software. 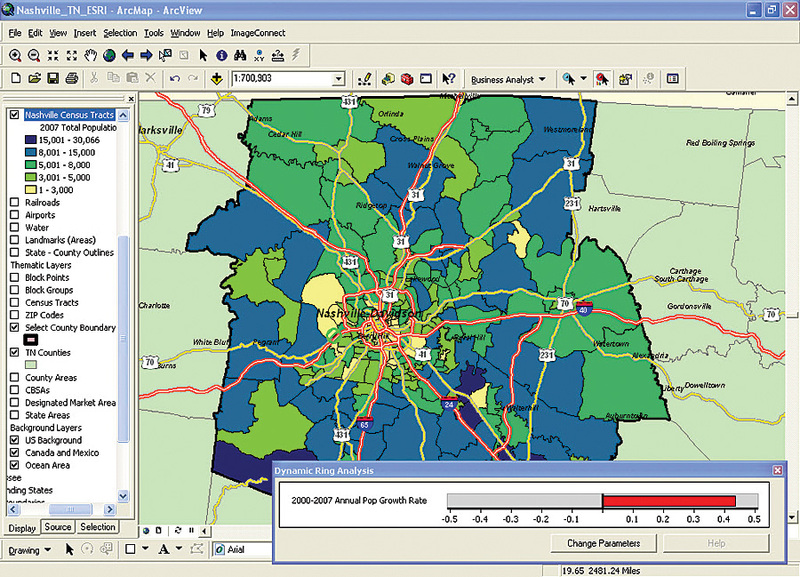 ArcGIS Business Analyst, including the Segmentation Module, provides in-depth customer analytics, while Business Analyst Online is used for creating boardroom-quality maps and easy-to-understand reports. The company can compare and contrast new sites by analyzing the demographics of existing restaurants and pinpointing new areas that are similar. "We are a family company, and this is apparent in all our daily efforts," stresses O'Brien. "We want our franchise partners to succeed. Without them--the local owners and operators in their own communities and hometowns--we would not exist." With nearly 400 restaurants that stretch from Wisconsin's heartland south into Texas and west to Wyoming, existing franchise partners and franchise candidates are continually looking at possible new sites. "The best way to determine a good site versus a bad site--besides understanding its access to customers, how to place signage, how good visibility is, and the location's prominence in a particular market--is almost certainly going to be comparable store analysis," says O'Brien. Whether by existing franchise partners or new franchise candidates, new sites are always being scrutinized for potential. "Working with franchisees requires a lot of time; we're either on the phone discussing locations or viewing prospective sites in person," explains O'Brien. He goes on to add that ArcGIS Business Analyst helps everyone focus on trade areas that are more appealing before going out to visit prospective restaurant locations, helping decrease the time it takes to narrow down choices. Using ArcGIS Business Analyst, Culver's is able to easily compare and contrast new sites by analyzing the demographics of existing restaurants, then pinpointing new areas that are similar. Culver's analysts define areas being serviced by existing restaurants by creating locations on a map of their restaurants and using tools within ArcGIS Business Analyst to delineate market area boundaries around sets of customers. Next, Culver's uses the ArcGIS Business Analyst Segmentation Module to mine valuable customer profiling information. Culver's uses the Segmentation Module's Tapestry Segmentation data, which consists of 65 segments broken down by socioeconomic and demographic variables. Operating on the theory that people with similar tastes, lifestyles, and behaviors seek others with the same tastes--"like seeks like"--Culver's uses these segments to predict where other restaurants can successfully be opened. Using the intuitive wizards, analysts are guided to answer questions about customers, such as, Where are other neighborhoods that look like neighborhoods we are currently in that tend to have higher sales volumes? What do they buy? How can I reach them? and Where can I find more like them? Using these spatial analysis tools, Culver's is able to segment the demographics of a restaurant location and find new areas that have similar attributes. To quickly share this information with corporate managers and new franchisees, the Culver's Real Estate and Franchise Development team uses Business Analyst Online. Business Analyst Online is a Web-based solution that combines GIS technology with extensive demographic, consumer spending, and business data to deliver on-demand analysis and presentation-ready reports and maps. Reports and maps are easy and convenient to use, with more than 50 templates readily available for Culver's analysts to use for presentations to their board members and potential franchisees. "We want to give our franchise partners the support they deserve," says O'Brien. "GIS technology gives them the ability to maximize their potential at Culver's." 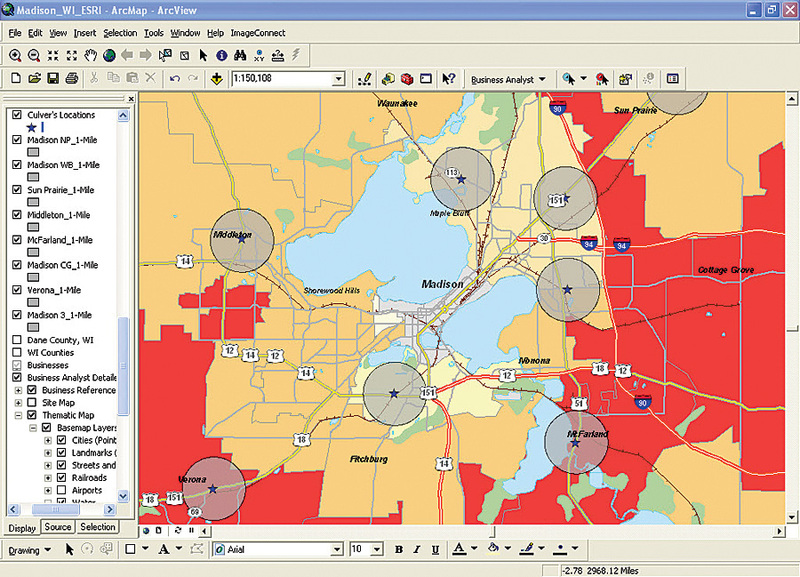 Today, GIS is seen as a strategic business solution that helps businesses continue to grow. 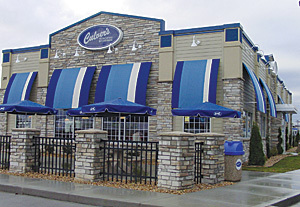 Culver's plans to open 22 new restaurants by year-end and almost 30 in 2009. Two have already opened in Phoenix, Arizona, a new market for the company. "GIS is a tool to help us make even better decisions as we continue to expand," says O'Brien. "GIS doesn't replace anything we have now, including people. Instead, the software has become a necessary tool that complements our existing business process."